Tim who? I’ve repeated that most of the day. So far, without any real effort, I’ve managed to absorb that he’s the former governor of swing state Virginia, a working man’s kind of place. Opinions differ as to whether he’s actually “fluent” but it’s said he does speak Spanish. Plus he’s easy on the eyes and relatively innocuous and quiet. A safe choice, not flashy enough to compete with Hillary for the spotlight, compliant enough to “Yes, ma’am” Hillary to death. A pleasant face. That’s about all I can say on the subject for now because that’s about all I know. I’ll learn a lot more in the weeks to come. At this point I’d just be happy if Tim and Hillary don’t come out gun’s a blazin’ over what a clown, blowhard, and narcissist Trump is. Can we please just stop the insults and get down to the very serious work of getting to know these candidates and their plans for our country? Looks a nice enough sort of chappie, as you say innocuous, hope he’s got some fire in his belly. Last I read she was looking at some retired General as a running mate, perhaps she thought he’s overshadow her; this bloke won’t that’s or sure. I expect you to keep us updated on Tim, (silly name for a grown man) and whether or not he will be presidential material in 2024, that’s providing Hillary wins and then gets a second term. 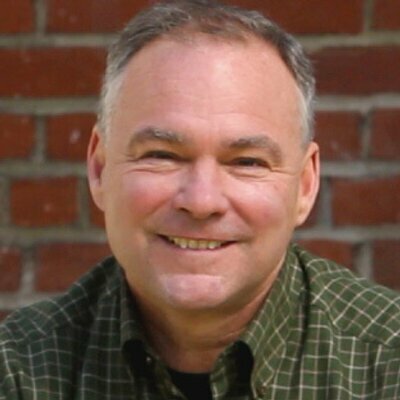 Tim Kaine can not erase the fact that Hillary grossly mishandled her government email and botched Bengazi. She is not POTUS qualified. Obviously the first thing that needs to be done (or hopefully already has been done) is check to see how Kaine handles his email. As for Hillary not being POTUS qualified … neither is Trump. Helluva mess we’ve got in this election.